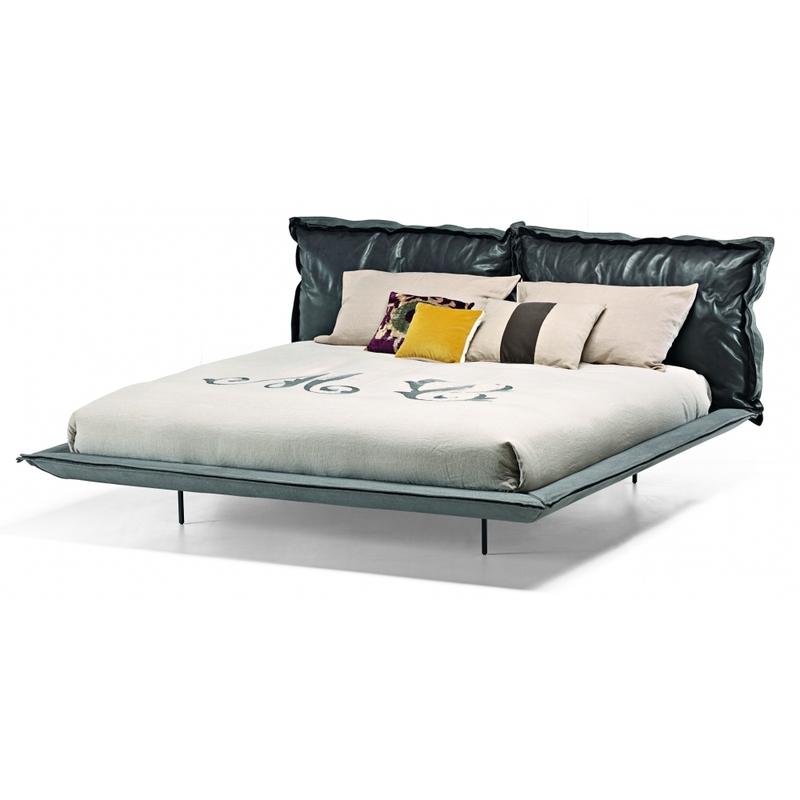 Auto-Reverse Dream is a unique bed, characterized by a double soul and a strong personality, which maintains a coherent style with the sofa of the same line. The exclusive design is emphasized by the discreet and minimal structure. The flounces of the base underline the excellence of hand crafted work and the quality of the materials used. The important headboard cushions can be supplied with two different materials, so they are reversible. It is possible to create millions of combinations by mixing the zip colours, fabrics and leathers, according to the environment. Auto-Reverse Dream: the timeless glamour. Designed by Giuseppe Vigano.